Possibility to spend the night at Macau airport (MFM), if open 24 hours. Services available, places to rest (free resting zones), or look for the list of nearby hotels and vip lounges..
Macau airport is open 24 hours a day, so you will be able to spend the night inside the terminal if you have a flight early in the morning. Make sure you have some warm clothes or a blanket, as the air conditioning is strong most of the time. Where to rest: Available benches are uncomfortable, made of metal and they have have armrests, but laying down on the floor is not permitted. 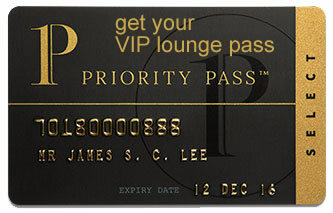 In the boarding area there is a VIP lounge with more amenities, but it closes at night. On the other hand, there is a hotel situated a few meters from the terminal if you wish for a better rest. Baggage: The luggage storage is available around the clock so you can leave your bags until check-in time. The Golden Crown China Hotel (Tel +853 2885 1166) is found about 100 meters away from the airport. There are more options nearby, some of which provide free shuttle services for their guests. Conrad Macao (Tel +853 2882 9000), Grand Hyatt Macau (Tel +853 8868 1234), Inn Hotel Macau (Tel +853 2882 1666), Altira Macau (Tel +853 2886 8888), Regency Art Hotel (Tel +853 2883 1234), Wynn Palace (Tel +853 8889 8889), Asia Boutique Inn (Tel +853 2822 3899), City of Dreams (Tel +853 8868 6688), Hard Rock Hotel Macau (Tel +853 8868 3338).